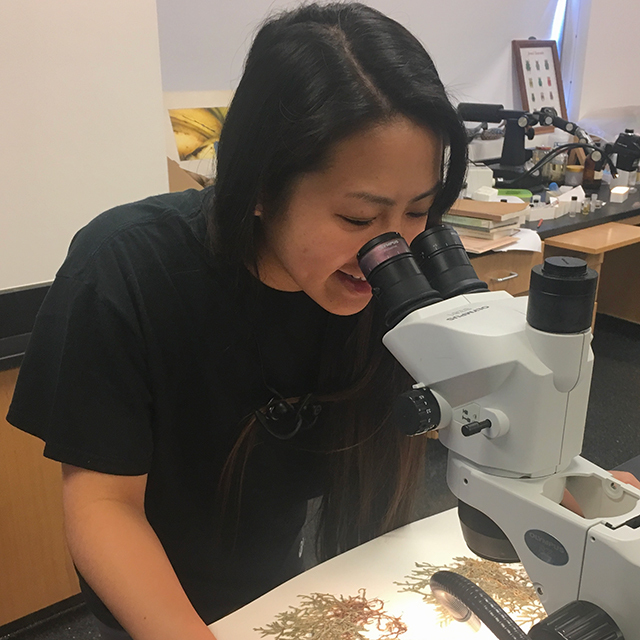 Biology student Karleen Cruz is part of the effort to digitize CSUN’s collection of plant specimens. Photo by Paul Wilson. Digital collections of books, maps, photographs and fossils are changing the way libraries and other agencies provide access to information. Academic institutions worldwide are moving toward the creation of digital repositories for research and educational purposes. In the digital age, herbaria – collections of dried plant specimens arranged according to botanical classifications – also have begun digitization efforts for the preservation and dissemination of plant specimens. California State University, Northridge’s herbarium is the latest to join this wave, thanks in part to a grant from the National Science Foundation that awarded the university $33,000 to digitize its collection of specimens. In simple terms, an herbarium is a museum for plants, comparable to the records of animals found in a natural history museum. CSUN biological collections manager James Hogue and biology professor Paul Wilson are leading the preservation effort with the help of two science students, who have been hired under the grant to digitize each specimen through imaging over the course of this year. Karleen Cruz, a 22-year old biology major hired for this project, said that the process of digitizing each plant is an extensive but fascinating process. 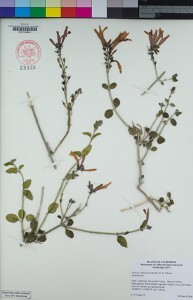 Approximately 25,000 specimens are expected to be digitized – from Acanthaceae (chuparosa) to Zosteraceae (eel grass). Students and professors have been collecting plants from all over the U.S. since the university opened its doors back in 1958, Wilson said. The process of digitization involves photographing each plant and transferring the image onto a website that contains data about the plant’s location, habitat, flowers and time of their collection. Herbarium specimens are often stored in a manner that can be difficult to access and limits public use. The transition to online collections allows the public greater access to this information, Wilson said.